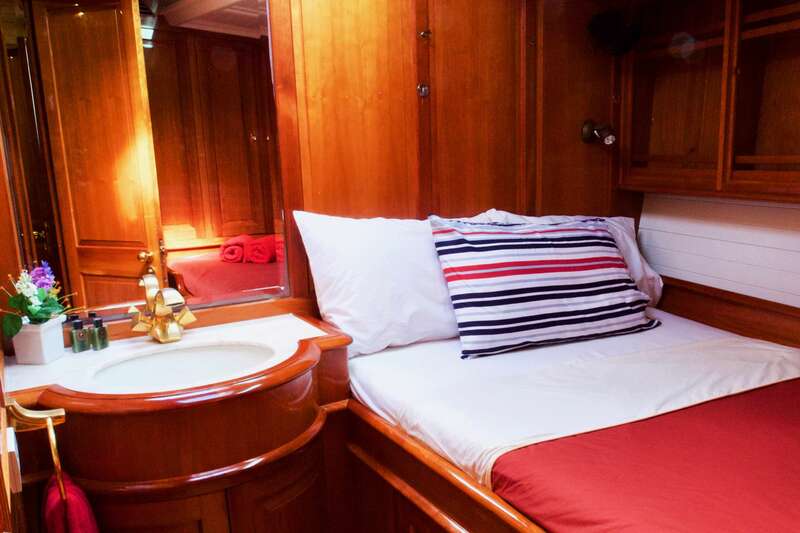 SY APHRODITE was built for luxury and comfort. 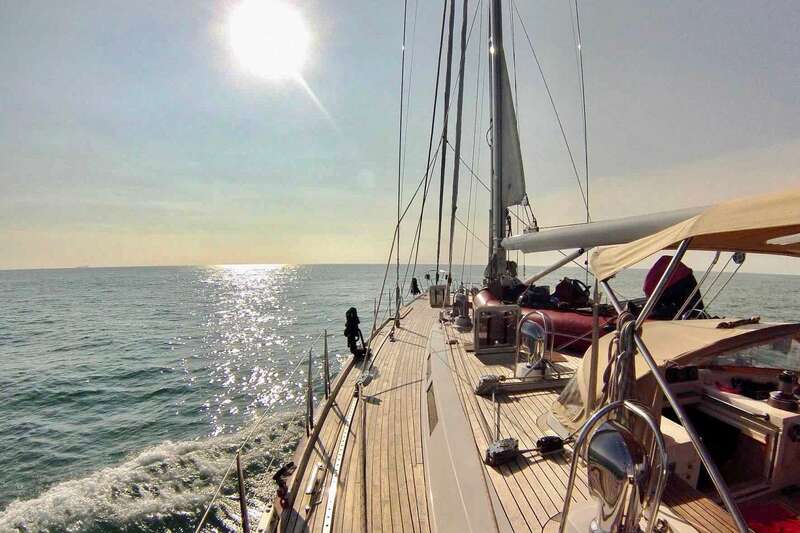 She combines the qualities of a high-performance boat with elegant and comfortable cruising: Aphrodite is a true blue-water sailing yacht. 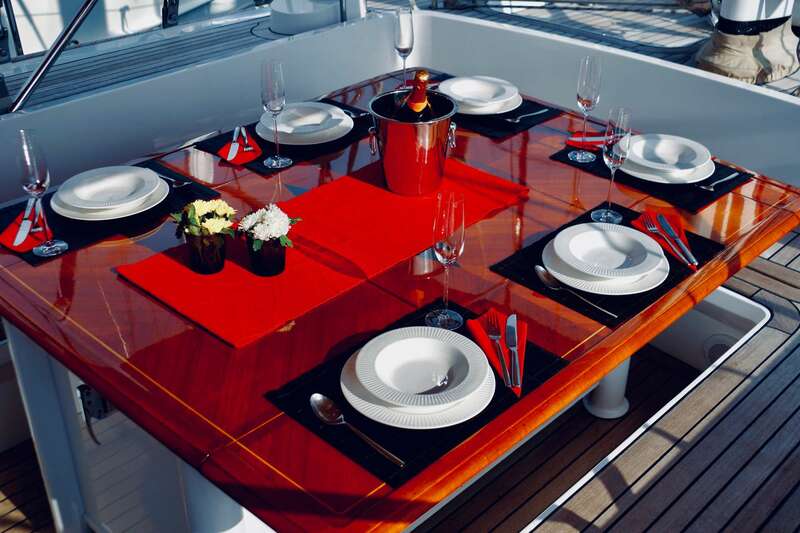 The yacht was designed by Andre Hoek and built by the renowned Vitters Shipyard in Holland, famous for its very high standards. 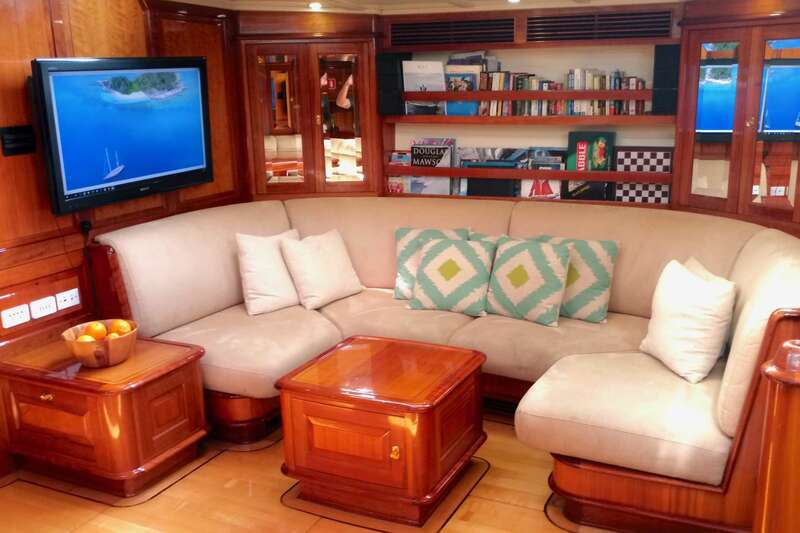 The design brief for Aphrodite was a go-anywhere, strong and fast exploration yacht for safe and comfortable passages. She spent the first years of her life in the Mediterranean and crossed the Atlantic to the Caribbean every winter. 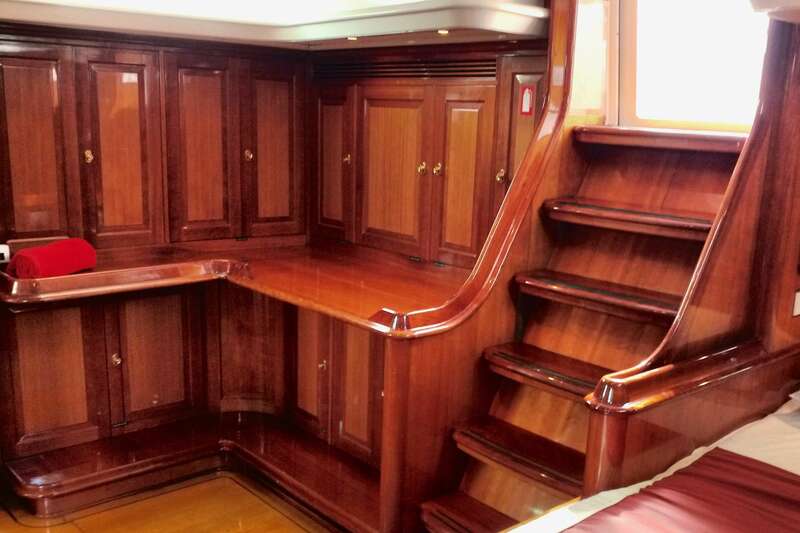 In 2014 she sailed to Asia and underwent an extensive refit. The design of the interior is typical of Andrew Hoek's classic style with high gloss cherry wood, white ceiling panels and ash floor boards. 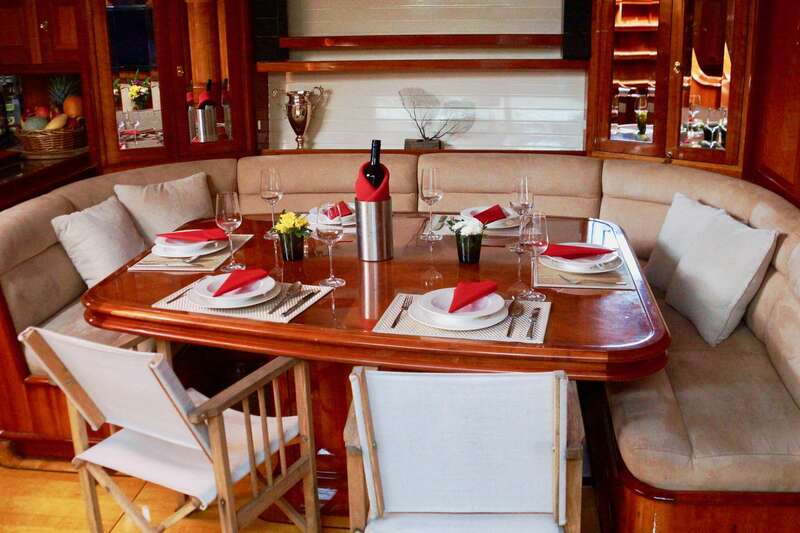 The large deck area has two cockpits: an aft cockpit for steering and sail handling and a spacious center cockpit for guests with a table seating 8 people, a built-in fridge and a sizable bimini top for mid-day shade. 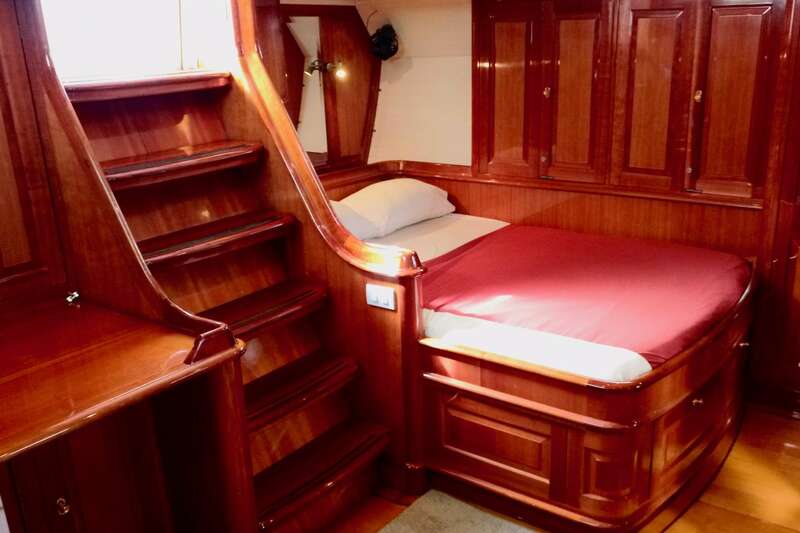 The spacious owner's cabin with en-suite is located aft with a separate staircase from the cockpit. 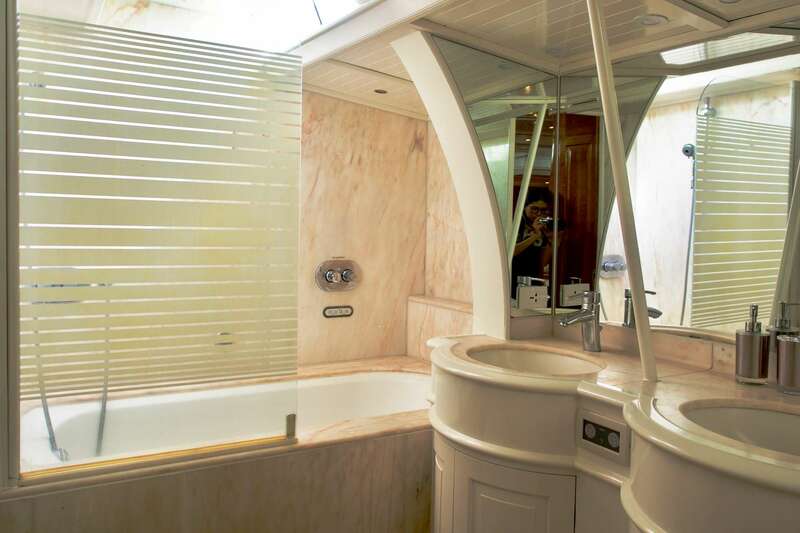 As a true owner's yacht, this suite offers an unusually large bathroom with two sinks and even a bathtub. two beautifully finished guest cabins - one with a double bed and the other with 2 twin beds.